There are so many VPN brands on the market. Even picking your favorite service from VPN reviews can be tricky especially when top contenders offer a wide range of attractive features. 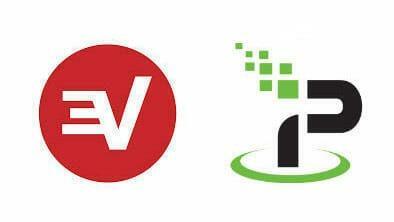 In order to help you make your decision as to which VPN provider to use, we’ve contrasted and compared two of the biggest names in the industry – IPVanish vs ExpressVPN. Our overall winner is ExpressVPN. Read on to see the breakdown of how these two providers measure up. Being able to make your location look like it’s in a different country is an important VPN feature as it helps you bypass geo-restrictions and enables you to access web content in specific countries. In general, the more servers a VPN provider has, the better. IPVanish has an impressive 1100+ VPN servers in 60+ countries. However, ExpressVPN has a slightly larger number, namely +2000 servers in 94 countries. The result is that both VPNs offer ways to circumvent restrictions to all major countries, such as the US, UK etc. However, if you want an IP address from a more obscure location, then ExpressVPN is the only one for you. High speeds are essential for any VPN as most users choose to stream videos and games over the web which requires fast internet. Both ExpressVPN and IPVanish have fast speed connection and you should be able to stream 1080p videos on both without too much trouble. ExpressVPN provides a VPN that only slows a connection down by a maximum of 9%. IPVanish can sometimes only slow a connection down by 3% though this can increase to 30% at times. Ultimately, if you’re downloading large files then we recommend using ExpressVPN, which as the name would suggest, is the fastest VPN service available. It’s important to choose a VPN which is compatible with multiple operating services, and connect to many different devices simultaneously. When comparing IPVanish vs ExpressVPN we noted that while both are compatible with all systems and devices, including iOS, Android, Windows, however, ExpressVPN works with 3 devices simultaneously, whereas IPVanish offers up to 5 connections. Being able to connect multiple devices to the same VPN is extremely useful because it means you don’t need to pay for an individual subscription for your phone, tablet, desktop, etc. Instead, you can connect all your devices with one payment plan. Online streaming services such as Netflix, Hulu, and Amazon Prime all operate with geo restrictions. This means, unless you have a VPN, you won’t be able to watch your favorite shows from certain locations. Not all VPNs are capable of bypassing the firewalls however – although both IPVanish and ExpressVPN can be relied upon to consistently grant access to some streaming sites, IPVanish does NOT provide access to US Netflix, while ExpressVPN does. Most internet usage is done with a mobile device so it’s important the VPN has an App which is compatible with your OS. Both ExpressVPN and IPVanish have apps which are compatible with iOS, Android, Windows, and more. Protocols are one of the methods that help to determine the security of a VPN service. Both ExpressVPN and IPVanish operate with superior protocols, such as L2TP and OpenVPN, which make it incredibly hard for hackers to infiltrate any encrypted tunnel or connection. Some VPN services have limited bandwidth which can be extremely frustrating. They essentially stop users from being able to use a VPN after a certain amount of data has been used. Given that a lot of VPN users are using a VPN in the first place to stream video content, these data limits are very often reached incredibly quickly. However, as should be the case with all reputable VPN providers, both ExpressVPN and IPVanish offer unlimited bandwidth. Paying for a VPN is done online, both ExpressVPN and IPVanish accept all major payment methods, including debit/credit card, digital wallets, and Bitcoin. Bitcoin is an important addition to the payment options schedule as it allows for further anonymity when signing up to a VPN provider. Sometimes VPN providers track their users’ activities using logs. A VPN provider can see your true IP address and all your online activity. Some VPN providers keep logs containing this information, however, neither IPVanish nor ExpressVPN do this, which ensures total anonymity. If you’re using a VPN and the private network drops, your computer will automatically switch to using your regular public network. Many VPN users never want their online activities to be exposed, so VPNs use a “kill switch” which cuts your connection to the internet altogether when your VPN connection fails. Both ExpressVPN and IPVanish use this feature. For some, the most essential feature of any VPN service is its security. Without adequate encryption software your online activities can be tracked and your network is susceptible to being hacked. Both IPVanish and ExpressVPN use the advanced 256-bit AES Encryption, the most secure version of the software available, effectively rendering your network impenetrable. In addition, both VPNs are compatible with TOR, the onion network, which can provide a greater degree of anonymity. To use IPVanish with Tor, either access the VPN using the Tor browser or vice versa. ExpressVPN operates its own .onion site, which provides a faster, more streamlined method of combining VPN with Tor. We contrasted IPVanish vs ExpressVPN and we found both services have responsive and helpful customer service representatives. You can contact ExpressVPN any time of day or night via live chat, email, Google Plus, Facebook, and Twitter. According to user reports they have an ultra-fast response time and you won’t be waiting more than a minute or so to speak to a representative. Contacting IPVanish is a little trickier. They only offer email support and you have to wait until working hours for a response – this may take a few hours depending on when you sent the email. Once they do respond however, the support is usually very helpful and a representative will call you if the need arises. As you can see, IPVanish is the cheaper of the two VPN providers, so is the clear winner in this category for obvious reasons. If ultimately, you want the cheapest VPN out of the two, then IPVanish is the provider for you. However, while IPVanish is obviously the cheaper of the two, one must take into consideration all the added extras that you get with ExpressVPN for that extra little bit of cash. In those terms, it may be better, depending on a user’s circumstances, to pay that little bit more each month or year to gain access to those features for a superior service. Even though both brands offer an excellent VPN service, we believe ExpressVPN is better for several reasons. First, ExpressVPN is available in more countries and with more servers, which can be extremely beneficial. Additionally, ExpressVPN is slightly faster which is ideal for users who stream videos and download files using a VPN. Plus, it was also the close winner in the Security and Privacy category which is an essential factor for VPN providers to excel in given users growing concern with online security and maintaining anonymity. All that being said, this was an extremely close race. While ExpressVPN won in all but one category, it was never by much in any of them. The above comparison simply goes to show that these are both two highly capable and efficient VPN providers. Plus, IPVanish is preferable if you want to cover more than three devices; perfect for people kitting out their whole family. Also, IPVanish is slightly cheaper for those that are really trying to save every penny. Ultimately, we believe that ExpressVPN is definitely worth the extra few dollars a month. It is a slightly slicker operation in general and tends to be the VPN provider across the market that is constantly pushing boundaries to improve the product it offers. The above categories do not take this into account, but it is an important point to note. More often than not, where ExpressVPN goes, the market follows. Personally, I like ExpressVPN better despite the fact that IPVanish is slightly faster and allows you to connect more devices. ExpressVPN’s network is just massive and I never have a problem connecting. I work in an industry where I have to get around geo-blocks daily and larger networks provide better access. IPVanish is still a solid product though, but in real-world testing, I also give ExpressVPN the edge. Pay the extra money for ExpressVPN. I’ve been using it for years and it is a fantastic service. The only thing you have to watch for is during peak hours you might run across some servers that lag. Typically, I just hop on a secondary server or one in an area that isn’t as heavily used and I am fine. Easy to use, has a large network and lets me do what I need to do online. very helpful post guys! Haven’t used a VPN since before the Netflix ban happened and I’ve been struggling to find one that works now. Gonna give these a go. Great article! I need a VPN for access to Netflix, and I feel like most people use Netflix access as a baseline. So, I agree the choice is really clear, here. Is there a way to configure the VPN to minimize he amount of speed lost? Hello! While some VPNs are built to offer faster speeds, there are certainly ways you can improve your general speeds, though it may come at the expense of other features. One of the first things you can try is to change your VPN protocol to one that uses less encryption, but the downside is you’re reducing your level of privacy. You can also try to change servers to those that have lower latency, or have less users connected at the same time. If you have a VPN installed on your router, that may also play a part in slowing down your speeds, though installing it directly on your PC will also reduce your level of security. In the end, if your priority is speed over privacy and encryption, there are easy ways available to improve your connection! Hopefully this helps!